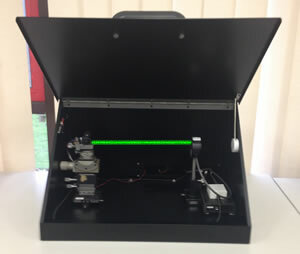 OTC News: New Thermopile calibration rig using high power 1064nm laser. We have recently revamped our thermopile calibration facility. Used in many areas including medical, defence & remote sensing, thermopiles can measure the power levels of a wide range of lasers. Our fully traceable calibration now includes calibration at multiple power levels to check the linearity of your meter as well as the absolute response. The calibration range can be from as little as 1mW up to 2W using a high power laser.